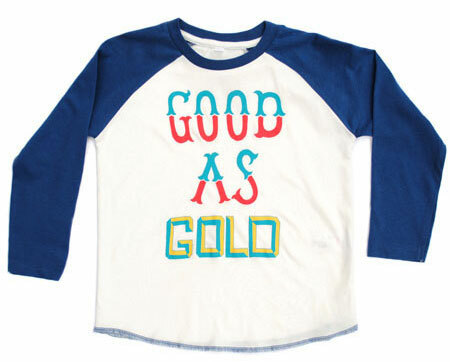 For a hip bit of everyday wear for boys and girls, this Good As Gold baseball top by Ruff and Huddle is pretty much perfect. With a smart front graphic mixing it with that slightly retro baseball top profile (very ’70s), this is a very cool top. It’s also ‘supersoft’, and with a curved, overlocked contrast hem and taped neck for durability. 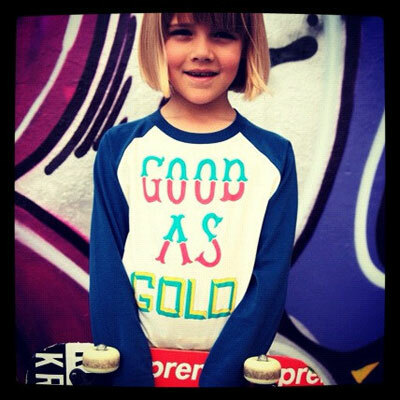 Made of 100 per cent cotton and available for ages two through to seven, it sells for £20.